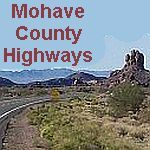 The Mohave Valley is located in what is generally referred to as the low desert, an area of warmth and sun, low relative humidity and scant rainfall. Residents and visitors enjoy the year-round sunshine. The area has one of the most favorable climates in the nation. Snowbirds and retirees escape the cold winters and enjoy the mild climate, clear skies and the natural beauty. The average high temperature every day is over 65 degrees F, frosts are almost unheard of, snow is something you see on Christmas cards. The winter months produce days with sunshine and 80s. Spring and fall climates are the best in the nation as everyone has the chance to boat, golf or participate in other outdoor activities. The Mohave Valley area is a paradise for golfers who can be out on the links in the more than 310 sunny days of the year, and offroad motorcyclists and 4 wheel drive enthusiasts will find the surrounding arid environment a great place for challenging sand dunes and desert fun. There is also great water recreation to cool off with in the summer. Temperature variations between night and day tend to be moderate year round with the high and low temperatures usually being separated by just 25 degrees F. Yes, it does get hot in the summer with temperatures getting into the 110s on a daily basis. Whether your preference, the Mohave Valley area is the place to be twelve months of the year! Weather information for the city listed above is from the most trusted and well-known source of weather in the USA. Includes wind, visibility, maximum and minimum temperatures and 24-hour summaries in addition to the condition and current temperature. This is a really good picture of what the USA weather pattern is, and the image is updated on a regular basis. These commercial sites have an easy-to-understand weather report. It includes the high and low temperatures, extended forecasts and hour-by-hour forecasts.